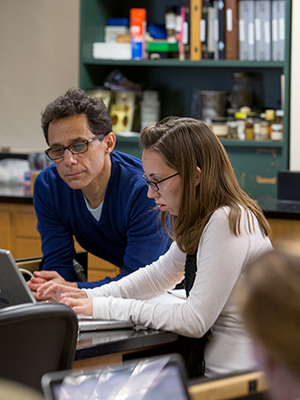 Biology professor Dr. Mike Vanni works with student in lab. The College of Arts and Science (CAS) offers both undergraduate (BA and BS) and graduate degrees (masters and doctoral) in dozens of programs across the liberal arts. All undergraduate students complete the Global Miami Plan for Liberal Education, which provides them with the problem-solving and critical thinking skills that employers actively seek in today's global economy.